After playing a couple rounds of Screencheat, an odd thought occurred to me: would a kid be able to understand this game? Back before online gaming, people never had to worry about lag or hacks; their only problem was players looking at their quarter of the screen. Screen cheating was an unfortunate side effect of limited technology, but it was also a skill. To be able to look at everyone else’s screen, steal your enemy’s secrets and keep yourself alive was a well-honed ability that came from learning the game inside and out. Nowadays everyone plays online, where each player gets their own screen all to themselves. With split-screen being supported by fewer and fewer games, would kids today even be able to understand the purpose of Screencheat? Or has split-screen become the gaming equivalent of rolling a hoop with a stick? Are those of us who grew up with GoldenEye 007 or Halo: CE now old geezers ranting about how things were in the good old days? Screencheat certainly feels like a relic from the past, but one that relies on your nostalgia for other games. It does have some interesting ideas, but it feels at least a decade too late. Blast from the past — Screencheat encourages you to look at everyone else’s screen and enforces that behavior by making everyone permanently invisible. The only thing that might give away someone’s position is a bullet firing from their gun, so you’re forced to look at everyone else’s screen if you ever want to kill anyone. 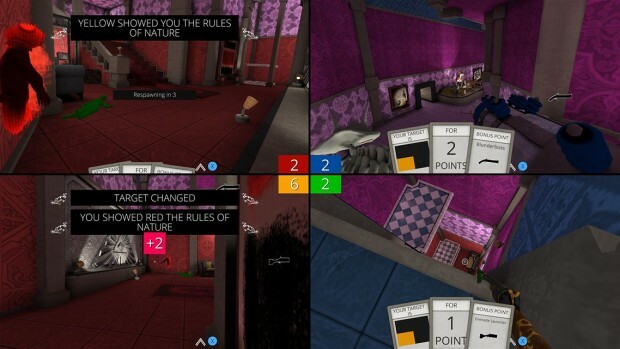 Whereas in older games you needed to know the map layout in order to effectively cheat, here they made navigating the maps easy by color-coding small sections. You’ll be able to understand the game from the get-go, making it super easy for new players. Wait, there’s online? — This game is nothing if not committed to the illusion it’s trying to create. While screen cheating is historically an offline sport, this game actually has online multiplayer – and you’ll still be able to see everyone’s screen. 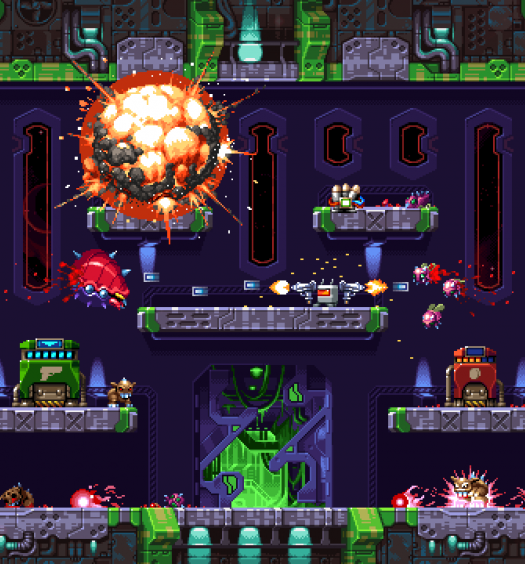 Up to eight players can play together, all squeezed onto one television screen. For a game that nobody could fault for only having couch co-op, being able to play online is a welcome surprise. Dem dry bones — As a first person shooter, Screencheat is severely lacking. Its gameplay is insanely simple, as you can only shoot and jump. No grenades, no melee, not even a manual reload. It feels super bare bones while playing, quickly becoming stale and unsatisfying. The armory is limited to ten weapons, and they all feel different. Unfortunately, they’re not all fun to use, as some are too wacky to be used effectively. The only thing that makes the game fun to play is its gimmick, and that isn’t enough to support this game. 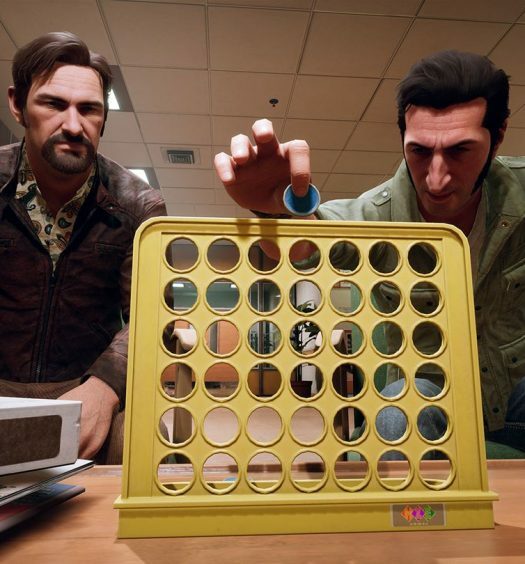 Familiar modes — In terms of game variations, the game does offer a lot – it’s just not very good. 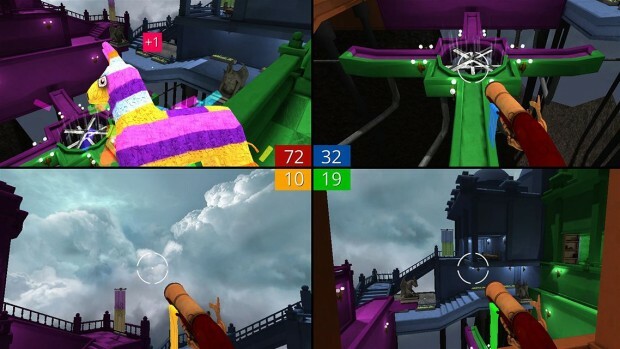 There’s a long list of customizable modes, most of which are the usual FPS game types like capture the flag and king of the hill. None of them feel particularly great here; besides not bringing anything new to the table, the game’s whole premise doesn’t lend itself to objective-based modes. The only particularly unique mode is Murder Mystery, where you get points by killing a certain opponent with a certain weapon. It can be frustrating constantly having to look at your contracts and finding the correct weapon, but at least this mode feels somewhat inspired. Screencheat is a game aiming to deliver nostalgia without ever becoming great in its own right. 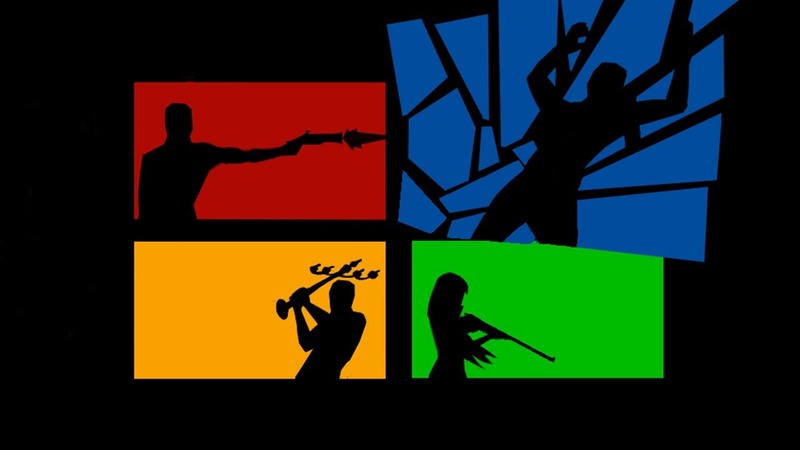 While the premise of the game is pretty genius, nothing else is. The ways they cleverly made the gimmick work are heavily overshadowed by how nothing else in the game is particularly fun. Without the invisibility, the game would be boring from the beginning; with it, you’ll at least get a few entertaining matches in before the boredom sets in. 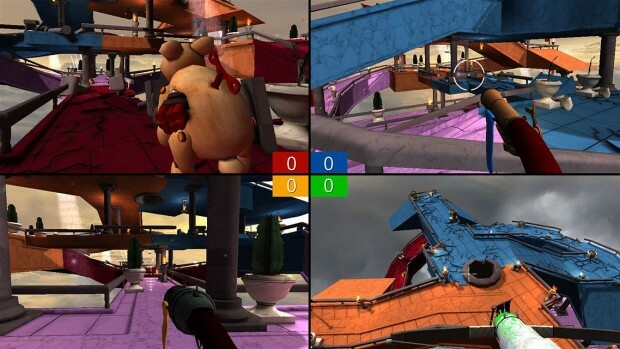 Screencheat was developed by Samurai Punk and published on Xbox One by Surprise Attack Games. It was released March 1, 2016 for $14.99. A copy was provided by Surprise Attack Games for review purposes.